Legacy is a huge part of the Grand Départ project, just broadly outline what you hope the impact of hosting the world's largest annual sporting event will be. To inspire more participation in cycling locally and to get regular people like me, living and working in our great county, to discover how much fun it is to get out and go for a ride. As for the event itself it will be amazing, something to enjoy and be inspired by at the same time. The legacy itself won't just be about councils and organisations like British Cycling, Welcome to Yorkshire, Cycling Touring Club (CTC), Sustrans etc delivering a worthy legacy but each and every one of us showing the organisers of the Tour de France and indeed the watching world, our passion for Yorkshire and for cycling. If you could see yourself 10 years from now what would you like to see as the legacy of hosting the Grand Départ of the Tour de France. More people in Yorkshire cycling more often, everyone respecting each other on the road and realising those driving and cycling are individuals not just ‘motorists' and ‘cyclists'. Everyone feeling healthier and fitter, less congestion on our roads and creating a future where cycling and all its benefits are considered the norm. 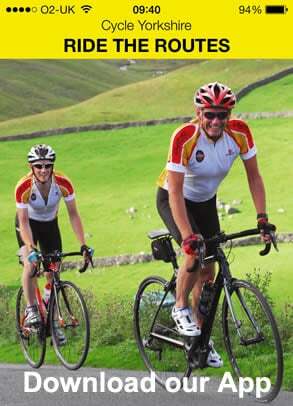 I'd like to see Yorkshire as the leading destination for cycling in the UK and Europe and to inspire the next Brian Robinson or Lizzie Armitstead! Ok, so those are the goals, going back a few steps, where is Yorkshire now in terms of cycling participation? Well I have to say it isn't bad at all as Cllr Keith Wakefield, leader of Leeds City Council, said at the Grand Départ announcement in January, we have a passion for cycling in Yorkshire. I think that is a great statement. There is a lot of great stuff already happening in Yorkshire, such as Ilkley Cycle Club, Streetbikes, Bike Rescue, Clifton Cycling Club, employers encouraging cycling, Kirklees cycling academy etc. 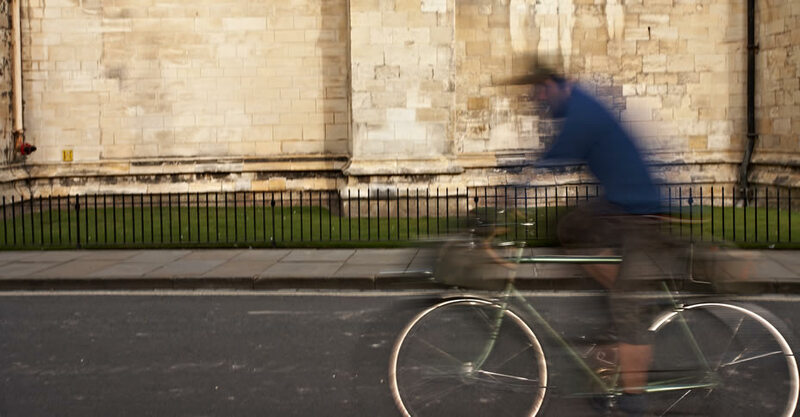 As a region we might be slightly below the national average for cycling participation but with York being a close number three for numbers of people cycling we have a firm foundation to build from. Who else are you working with to deliver the legacy project of the Grand Départ? The list of organisations helping to deliver the legacy grows monthly, we have 20 local authorities working to improve cycle routes and opportunities to cycle; South Yorkshire Transport Passenger Executive; Metro; the County Sports Partnerships; British Cycling; CTC; Sustrans; Northern Rail; Yorkshire Colleges and Yorkshire Universities; the former chair of Cycling England Phillip Darnton and a growing list of local MPs; Streetbikes Bike Rescue, the list goes on. The question is could you and your organisation be a part of this? There is space for more people and companies to sign up, so if you would like to know more about how you can support the legacy, please do get in touch. Has any other city or region in the UK undertaken a cycling project of this scale before? The legacy represents the first of its kind as a regional initiative so already we have a legacy that is fitting of the Tour de France visiting Yorkshire. It has helped bring millions of pounds into the region and I hope will be further supported by Government and the private sector so the whole vision is realised and thriving 10 years from now. In 2023 if the legacy project is successful will we see a healthier more active population of Yorkshire? In short yes! My cycling story started when I decided to cycle again to get fit as I hadn't the time with one child (now two), and I have to say within three weeks the hills I was going up got easier. In short, I was sold and even more encouraged by my children! Cycling is one of the best ways to get fit and get around. So yes I do see everyone becoming fitter, more energised and productive but all of us need to do our bit.